Today’s topic: planning. I am a minimalist planner. Part is me rebelling from when I had to write music education lesson plans on a general classroom format every week. Part of the reason is that when I plan, I overplan. Part is that we follow rabbit trails so often and so easily that I hate having to mark things out in my planner and rewrite it with what we actually did. Minimalist planning is definitely where my groove is for planning. I am a paper planner person (say that 3 times fast!). I like my printed planner so that I can jot things down and don’t have to have access to the computer to know what to do or what comes next. I create a general schedule and then we go for it. I expect us to do “the next thing” in whatever curriculum we are working on. In math – next lesson. In science – read to the next set of questions. In history – the next project. Just do what is next. For me, that means I don’t need to write out detail-by-detail what lesson comes on what day. We just do what is next. And I write it down after we do it. When the math lesson is completed, I write it down in my planner that it was done. When the story is shared, I note it. When the project is presented, I write it. Each child has a color and I write their completed assignments in their color. And red or green means it was a family activity/project. Easy-peasy. Now, that doesn’t mean I don’t read ahead or look at the curriculum or decide what we are going to do. It just means I don’t schedule each lesson out. And, it means that I am placing more responsibility on the girls to know and do what they are supposed to. Each year, they are a bit more responsible for their own learning. Miss E and Miss J each want their own person checklist for their week, so we use a simple chart in a spiral for that. I am adding a bit of a twist for myself this year, though. Miss E is in 8th grade and some of the work she is doing will count towards her high school credits – sign language 3 and Fascinating Chemistry are two courses that will be going on her high school transcript. So, I am keeping tabs a bit closer on those, noting hours/time spent and grading the work and making her take all scheduled tests. We are in Texas, which does not require any reporting for each year, so while I do grade projects and math assignments and such, I do not keep strict grades for the girls. I keep their work from year to year and I keep my planner as documentation of what was completed. For us, this is a good balance and documentation. Looking for more ideas? Visit the others participating in the Homeschool Review Crew Back to Homeschool Blog Hop 2017. I enjoy planning. Well, I enjoy planning for unit studies and finding curriculum. I really like unit studies and all the research and reading I get to do to prepare. But the day-to-day school stuff? Yea. Not so much. Sometimes I feel like I am writing the same thing over. And over. And over. I do our day-to-day planning stuff a whole lot differently than most people seem to who write about it. I don’t do the whole “sit down for a couple of day and plan out your whole year for every student and every subject.” Number one – I am not that organized. Number two – we change things to fit the girls or the subject or the attitude way too often for that to work for us. Number three – I just don’t want to! This year, I spent a lot of time thinking. Pondering schedules and subjects and curriculum. All of this was done without any pencil or paper and without sitting surrounded by curriculum books. I just thought. About what has worked. About what has not worked. About each of the girls and their personalities. About where I wanted to push harder and where I wanted to back off. Then, At Home Dad and I spent a comfortable Sunday afternoon sitting on the porch and discussing our plans and goals and ideas. I jotted down ideas while we talked and we sketched out weekly schedules for each of the girls. (You can find those here.) We also did some planning for the next 5 years – yes 5 years, from the lady who hates day-to-day planning – for Miss E. We wanted to make sure we had covered the initial thought process for her as she enters high school levels in the next couple of years. Days of the week go across the top; subjects go down the side; each day will have the list of what is to be done for each subject and I’ll put a check next to what gets accomplished with each girls’ color (Miss E is blue, Miss L is pink, and Miss J is purple). Once we had our weekly schedule in place, it helps me know what to do for a day-to-day basis. I am going to be writing out weekly plans and those will be pretty easy to do since I have our schedules. I will be writing down on each day and subject how much will get done but it will be written in pencil so it can change as things actually happen. Because, you know, life happens and that means we don’t follow a script. I allow lots of flexibility in the plan. When we reviewed the Hey Mama! Planner a bit ago, I shared about how I keep track of our day-to-day stuff at the monthly level. I keep track of read-alouds, audiobooks, videos that pertain to studies, volunteer work, and field trips. I also keep track of school days and other activities that we do on a monthly calendar. We are not required in our state to track or report these things but it is always good to do so, even when not legally required. And, since life is learning, don’t forget to track Bible classes, worship services, dance or other sports, library visits, art projects or classes, camps, and all those other things that happen to enhance life experiences. These are all important learning opportunities that help shape and guide our children to become who God has designed them to be. We consider anything worthy of our time to be a learning opportunity. Learning is a lifestyle and as such, many of the moments when learning happens are unplanned. So don’t forget to go back and keep track. When you have a lifestyle of learning, planning is not always proactive. And that is okay. Many times it is a reactive activity, pulling out the planner (maybe a better name is tracker!) and writing down what has already happened. Remember, keep track and plan for what is legally required but more importantly, do what works for your family. Know what YOU need and find the way that it works best. 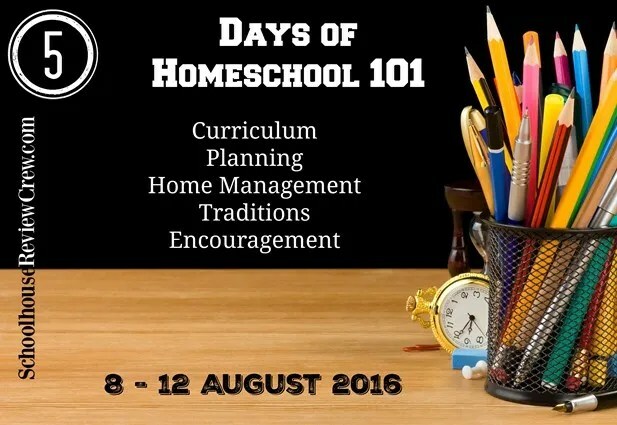 This post is the second in a series for 5 Days of Homeschooling 101 and is part of the TOS Review Crew Blog Hop. I am a paper planner kind of girl. I need my Hey Mama! Print Schoolhouse Planner 2016-2017 to keep track of my school life and plans. 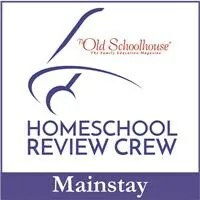 I was so happy when I received one to review from The Old Schoolhouse (TOS – yep, the parent company of the Review Crew). I don’t really know where to start with what I really like about my Hey Mama! Planner. The Hey Mama! Planner has almost 200 pages to work with. Printed in beautiful sepia and black tones throughout, it is bound with a metal spiral binding. The covers are glossy, printed cardstock. I think what I like best is the constant encouragement found within the pages of the planner. Right off the bat, there is a Hey Mama! letter of encouragement. These Hey Mama! letters are found at the start of each monthly planning section to remind you of the important job you have but more that God created you just as you are to be THE perfect mama for your little ones (and big ones). Every single month. So what all is in the planner? Well, everything I need and so much more. There are so many calendars and forms that I don’t need anything else for planning. Well, maybe some blank paper but that’s a different story. Calendars, weekly planning pages, goal pages for months, semesters and years, attendance charts, contact pages, curriculum lists, and a whole bundle of other lists for topics of interest or dates needed. Chock full! The weekly planning pages are probably the main portion of the planner for me. I use those day in and day out. I am saying use because this is the planner I currently have. There are 36 weeks worth of pages. Since we tend to do more school than this that I want to keep track of, it is permissible to copy additional pages to keep with the planner. I would love to see this planner include 52 weeks since so many homeschoolers educate all year round, even if it isn’t full-blown school mode. These pages are my mainstay and help us track what we are doing and/or what needs to be done. The pages are set up in table format, with 6 across the top and 8 down the side. One of each of those is for labeling, in my opinion, leaving 5 across the top and 7 down the side. This means I label and date the top ones Monday through Friday, Down the side, I label the subjects that we are working on. When I am writing in what is happing or planned, I use three colored pens: blue for E, pink for L, and purple for J. There is actually a fourth (red) that I use to show things that are the same for all three girls. This allows me to fully utilize the space on the pages. One other thing that I do that is really personal for me: I keep track of the books I am reading just for me. I do that above the Hey Mama! letter each month. This tracks the fact that I am doing something just for me but also encourages me to keep it up. I am currently working on setting up goals for next school year. The goal planning pages are going to be a big help for that. There is a monthly page, a semester page, and a yearly page, plus a curriculum planning page. There are 4 or 5 copies of each of these in the Hey Mama! Planner. Some families have need of more copies of this than are included; it is okay to copy the page if you need more. I don’t know many people who can get along without planning so why not use a planner that is full of encouragement and helps. The Old Schoolhouse has created a wonderful planner with the Hey Mama! Planner, full of encouragement with the Hey Mama! letters and Bible verses throughout. This is a fantastic resource that I highly recommend and have used for two years now. I use mine all the time and I can’t imagine using anything else. I have a coupon for you to order your own Hey Mama! Print Schoolhouse Planner 2016-2017! 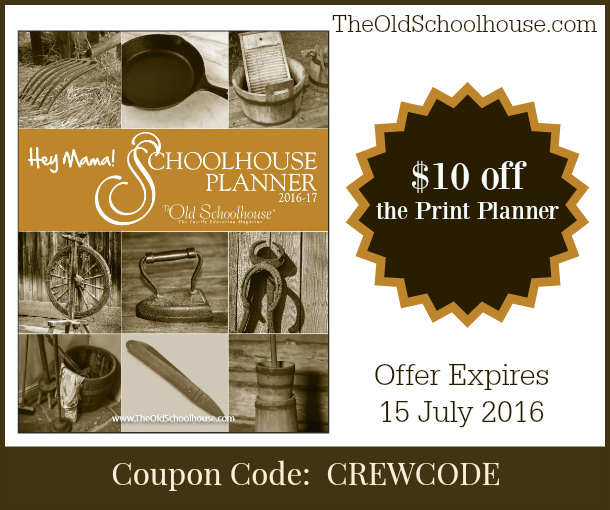 Visit TheOldSchoolhouse.com and order the printed planner using the code CREWCODE for $10 off. What a fantastic deal! If you live in the U.S., that would give this a cost of $19. The coupon is good until July 15, 2016, but if you are like me and put it off, you forget. So – Order yours today. Find The Old Schoolhouse on social media. Read more Crew reviews from over 100 others who have used the Hey Mama! Planner. I am a paper planner person. When I got the opportunity to review a planner from Apologia Educational Ministries, I was happy to. There is nothing better to me than the feeling of writing on a paper with your thoughts and having them appear. I like the feeling of putting pen or pencil to paper. 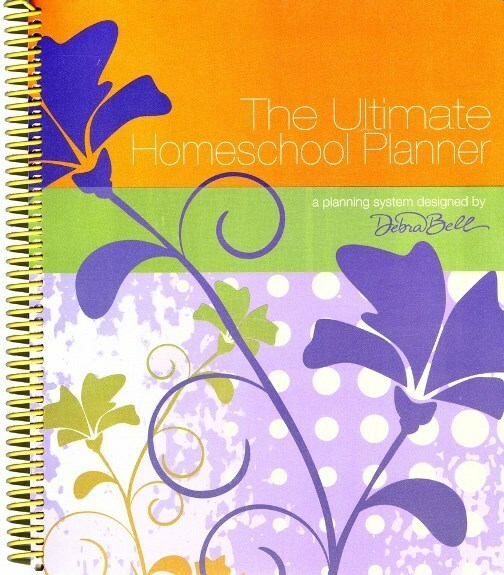 It is a pleasing thing for me and on a planner that is pretty, such as The Ultimate Homeschool Planner – Orange Cover by Debra Bell – well, that is just a joy. 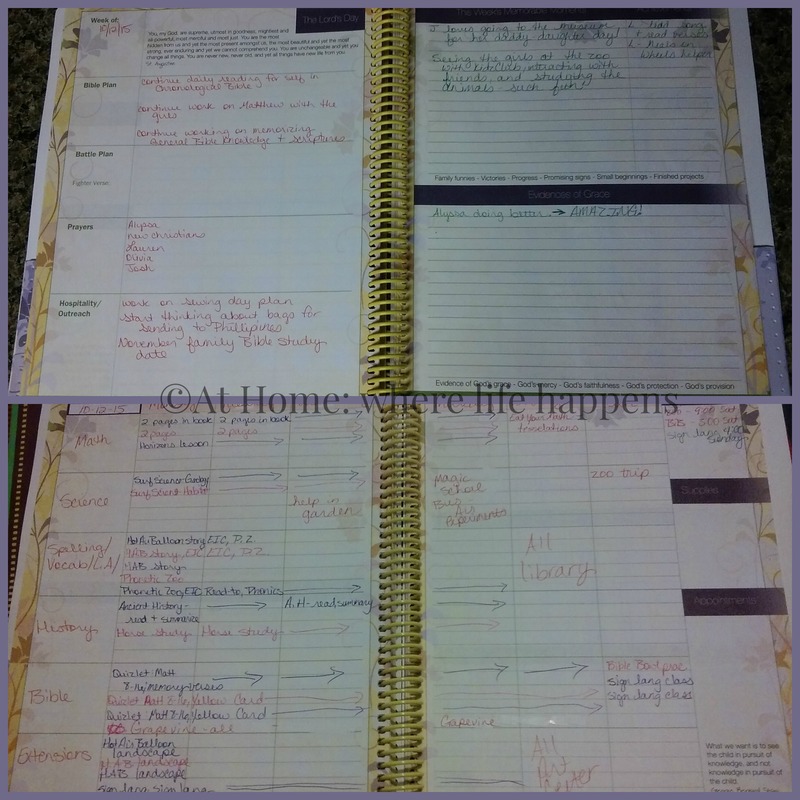 When I received my copy of The Ultimate Homeschool Planner, I spent some time just browsing through it. I looked at the pages and the boxes and all that is in the planner. As I always do, I felt a bit overwhelmed and knew I needed to go read up on the suggested uses to get an idea of how it was designed. The example pages were really helpful and I was ready to get started. 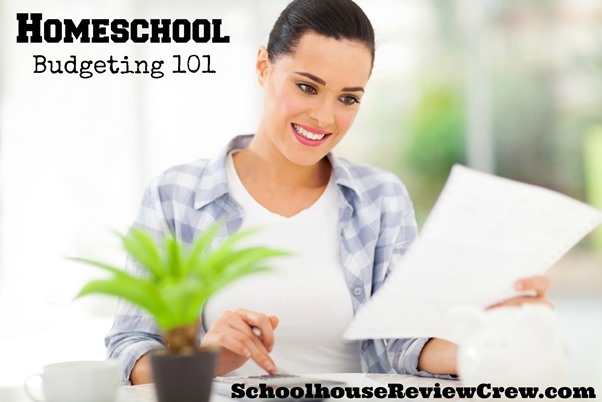 Debra Bell is familiar with the needs of homeschooling moms because she is one herself. She set this planner up with maximum flexibility. I like flexibility. I like that this is set up in a way that I can decide how it will work best for my family, yet still have some foundation for each page that I don’t have to create. The pages can be used in a couple of different ways and the calendar pages are undated so you can adjust them to your family’s schedule. Throughout the planner, you will find that Debra has set this up to find a focus that relies on God. There are Bible verses and quotes throughout the planner. Each monthly planner has both a Bible verse and a quote of encouragement or beauty. The weekly planner pages have several ways in which the focus on God is presented. There is a reminder of the Lord’s Day, a place to write your Bible plan for the week, a place for a Battle plan and fighter verse for the week, a place to write about hospitality and outreach. Additionally the weekly planner has places to write your week’s evidences of God’s graces and memorable moments and achievements. The whole purpose of a planner is to plan, right? Well, I often forget this. Debra reminds us of this need for planning in several good, helpful ways. The user’s guide at the beginning guides us through a planning retreat to help us get the entire year planned out and going right. She also helps explain a monthly planning session and weekly planning sessions. She also helps me see how to include my older students in mini-planning sessions on Monday and Friday. I plan to incorporate these in our schedule once we begin after Christmas break. This gives me some time to get myself together and it will allow us to implement it without the interruptions of holidays and school breaks due to travel. I hope to fully implement her planning schedule, including a plan for the entire year of 2016, at the new year. This in particular has been a helpful insight for me. I am not a planner by nature so this was good information to have written down with examples. As our oldest student gets towards high school, we are beginning to think in that direction. 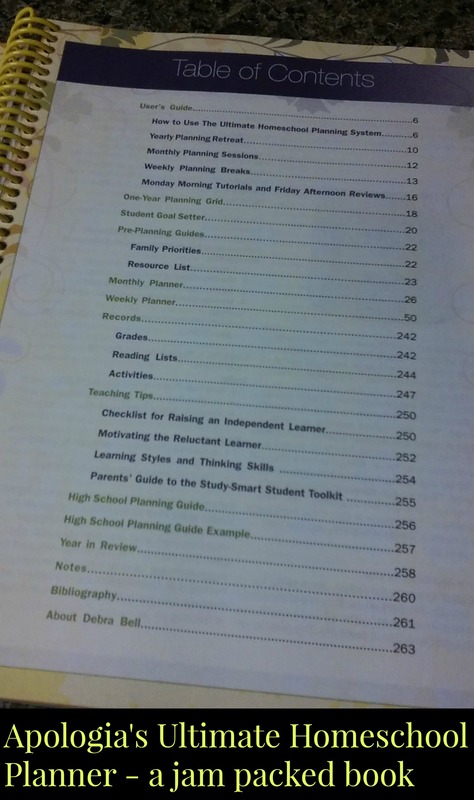 The planner advertises that it has a High School Planning Guide. I was very disappointed in this. It was not what I would call a planning guide. It was an example of how to fill out a form in this book that has to do with high school plans. But, it was not a guide. For information, you have to purchase a different book. There are only 48 weeks in the planner. Since we are talking about planning an entire year, including breaks, I would prefer to have a planner that has 52 weeks in it so that I can mark the off ones as well and add in anything educational we do during that time. If I understand it correctly, one of the other color options has 52 weeks in it. The orange cover does not. 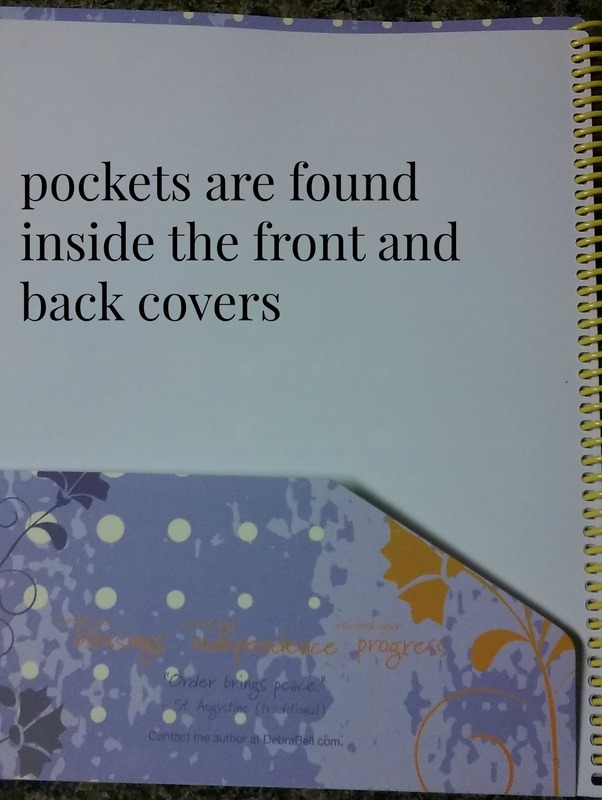 All in all, this is a lovely planner with some good information. Definitely worth a look for those of you who, like me, prefer to write down what is going on the “old fashioned” way.